When we started making the Gemscale 100's, we came to the realization that they would need thermal calibrations. 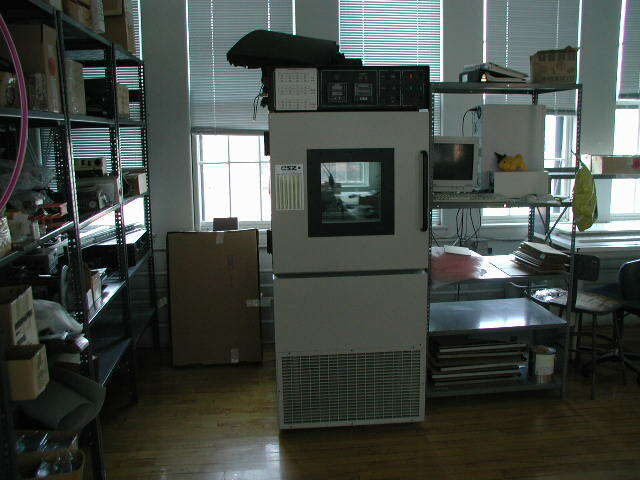 We bought and outfitted this stationary robot, which (in deference to Hal) we named Thal, the Temperature-Humidity robot. Environmental chamber it is called in the trade. Except for the Gemscale 50's, every scales we sold (and alot we didn't sell) did its stint in this chamber.